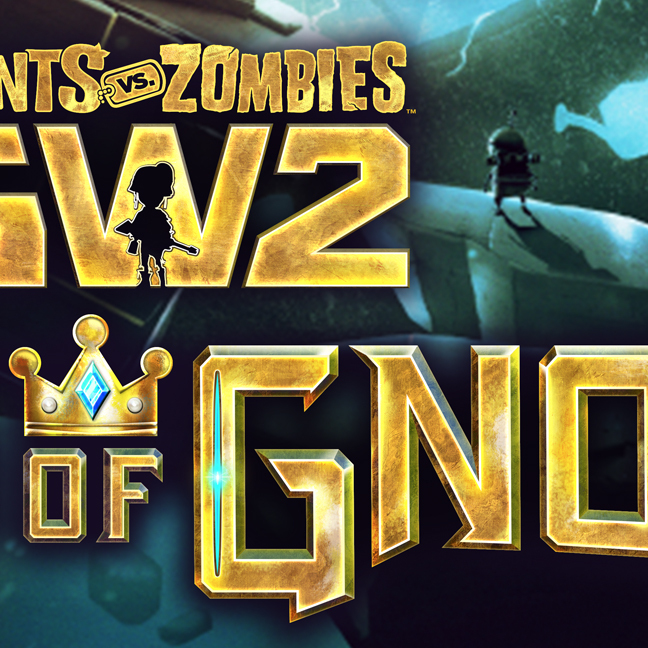 For this assignment I was tasked with creating the logo for the Plants vs. Zombies Garden Warfare 2, Trials of Gnomus content update. This was the fourth content update for the game (released September 2016). To begin with, I created iteration after iteration of concept for visual directions the logo could go. 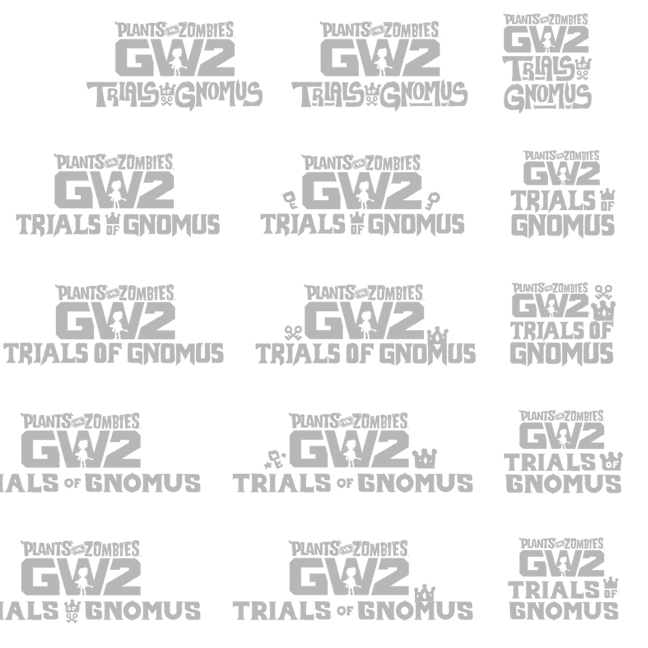 The Trials of Gnomus logo needed a strong, sturdy, yet gilded and opulent feel. My various versions were send back and forth to the game lead and my art director and polished until we reached a final direction. The background art that the logo would be placed over was provided to me and the logo's color and lighting was guided by what would appear well over that art. After deciding on a direction, I made the final logo design in flat color. Once that was tweaked and completely perfected I was able to go into Adobe Photoshop and apply the final visual effects to the logo.